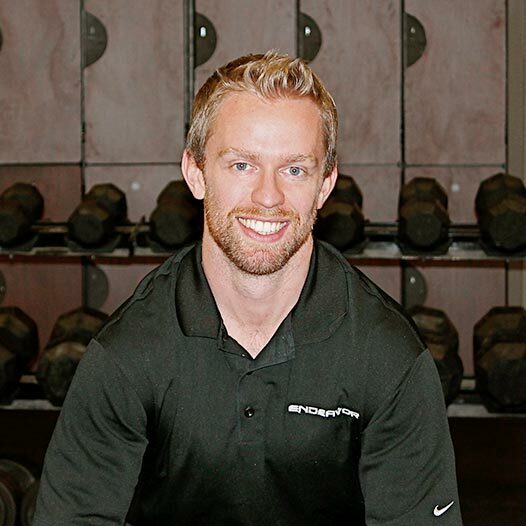 Today I’m excited to share a Q&A that I did with Mike Robertson, co-creator of the Elite Athletic Development series. Building off his guest post from the other day, one of the 4 jump training mistakes he mentioned was only training bilateral jumps. This is an important topic because the degree to which training transfers to improved sport performance can depend on how specific the qualities or movements are to what takes place in your sport. In other words, and tying things back to the the lateral bound post from a couple weeks ago, jumping vertically off two legs won’t transfer to skating as much as jumping diagonally off of one. 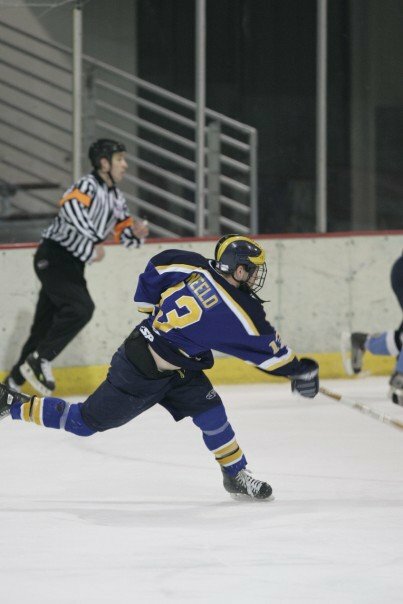 This idea sets the stage for today’s Q&A, where Mike discusses a few key concepts that transfer more to rotational power development, which has applications in every team sport, but is especially relevant for hockey, baseball, golf, and soccer. KN: A couple weeks ago, you had a great post on thorax rotation. Knowing that most of my audience is from the hockey world, can you talk about what thorax rotation is, and why it’s so important for rotational athletes? MR: I think thorax rotation is a critical component for every rotational athlete. But far too often we just think “thoracic spine,” and not the thorax – i.e. the spine, ribs, sternum, etc. A thorax that can rotate on top of those stable abs. An extended thorax that limits rotation. So there’s not just one issue that limits the ability of an athlete to rotate well, but a multitude of factors. Another big take home point is that we’ve driven this concept to t-spine extension into the ground. Sure if the t-spine is too flexed that limits rotation, but too much extension limits rotation as well. KN: That’s a great point about about their being a “sweet spot” of thoracic positioning that allows for optimal rotation. It’s another great example of ideas in training not being black and white, and also highlights the importance of having a good assessment process. Doing more t-spine extension work may be extremely helpful for one person, yet completely inappropriate for another. In a similar context, you recently wrote a great article on “alternating function.” What is alternating function, why is it important, and what are a few examples of how you integrate these concepts into training? MR: Well if we take that “well moving” athlete I described above, alternating function is the ability to properly position, and coordinate, the hips, core and thorax to create seamless, integrated movement. Thorax rotation is a critical component of alternating function, but it’s not the whole show. Creating right trunk rotation which is anchored by a tri-planar left ab wall. And then when you’re talking about the follow through, just take that whole list above and flip-flop it. But here’s the thing – the first step is being able to achieve the positions first. Many people are doing the right things, but don’t have the biomechanics “prerequisites” to do them with compensation. Once you can achieve the right positions, it’s all about patterning and coordination to tie it all back together. KN: This is one of the areas I think sports performance coaches can really help sport coaches. When athlete’s don’t possess the range of motion, strength, or control to get into the positions or perform the motions the coaches want, they’re set up for failure right away. A good assessment and training program can help identify those barriers so the coaches have a more “moldable” athlete to teach. Switching gears, a few months back you and I spoke about the misconceptions regarding energy system development for hockey players. Can you talk about how your approach to conditioning has evolved over the last few years, and what some of the major factors are in designing a conditioning program for an athlete? MR: Well I’m the first to admit I did everything wrong early-on. I fell into the trap of “glycolytics fix everything,” with no real understanding of the physiological demands of most team sports. Nowadays, I’m very focused on building that aerobic base first. I’m also a big believer in using low-intensity work early-on in an off-season even if an athlete is well-conditioned, just to make a smoother transition into high-intensity work. But once you get past the methods of training, I think we can all prepare an athlete physiologically for their sport. The next big step is merging the physiology with the demands of the sport from a loading perspective. Let’s take your standard aerobic power running protocol, where you have an athlete running 2 minutes on and taking 1 minute off. That’s a great program physiology wise, and it may work well at a certain point in your program, but I don’t think that’s where you need to leave guys off. When you get into high intensity aerobic work (15 seconds on, 15 seconds off) and start to pair that with decelerations and change of direction, now I think you’re really on to something. At the end of the day, the goal isn’t to see how fit we can make our athletes. That looks nice during pre-season testing, but the ultimate goal is to create an athlete who can meet both the physiological and biomechnical demands of their sport. KN: Making the transition from off-season to pre-season as seamless as possible is definitely a key component to a good training program. Wrapping up, for someone new to your EADS series, can you talk about how this event came to be and what someone thinking of investing in the videos can expect to get? MR: The original EADS seminar came about because of a dinner Joe Kenn and I had back in 2013. He and I always try to get together when he’s in town for the combine, and somehow we got on the topic of speaking at seminars. We were both lamenting the fact that at most seminars, you get maybe 45-50 minutes to speak. By the time you do your intro and your close, you probably only have 25-30 minutes to actually talk training! We decided that night that we were going to do a course, and in 2014 we hosted our first EAD seminar. Every year since, we’ve hosted an Elite Athletic Development seminar, because we’re incredibly passionate about sharing what we do with other coaches. I think what most people enjoy about these seminars is that they are very real and transparent. Joe and I are very open about what we’re doing, what’s working, and where we’ve failed. At this year’s event, we both started off with our keystone talks – for me it was the R7 Approach to Training, where I discuss how we structure our programming at IFAST. Joe started with his Tier System talk, which outlines how he uses the tier system to build all of his athletic development programs. From there, my focus on the weekend was bridging the gap between philosophy and application. I did a talk on breathing and core training, and another on single-leg training. The goal was to not only give you the reasoning behind my approach, but to then go in the gym and show you how to coach it. House’s other big talk was his Block Zero programming, which is what he uses not only with his young athletes, but to help on-board new athletes. We’ve all had a new kid come in our gym who has trained for X number of years, but they haven’t trained in our system. Or used our training techniques. All in all I think this is a fantastic resource, and one I’m really excited to get out there. KN: Thanks Mike. Appreciate you sharing your time and expertise! 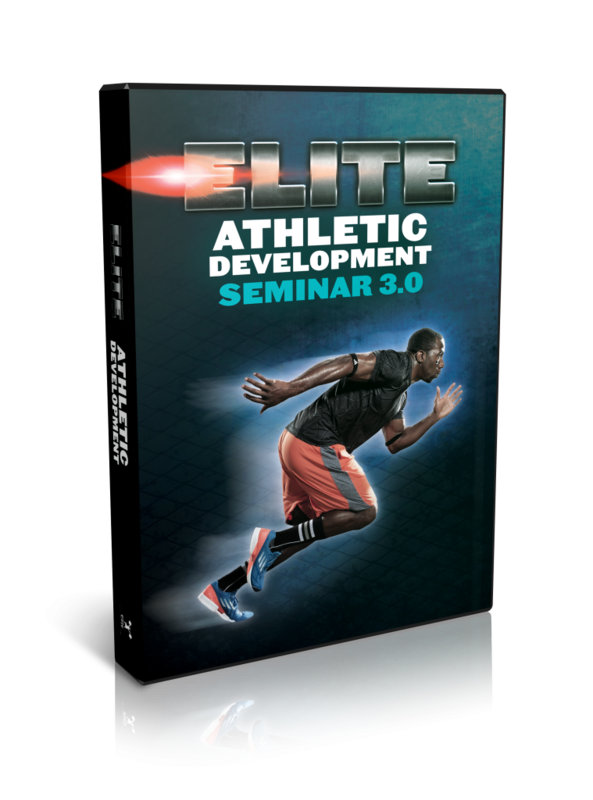 As a friendly reminder, Mike and Joe’s new Elite Athletic Development 3.0 series is on sale for $100 for the next few days only! P.S. For more information on how to design PROVEN training programs to improve your athletes speed, power, strength, and conditioning, check out Elite Athletic Development 3.0 today!